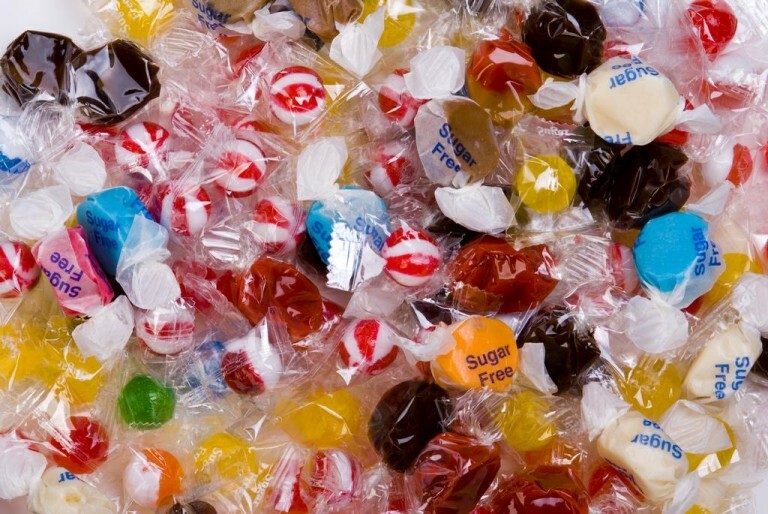 Complete sample mix of all Go Lightly Candies, Peerless, Primrose and Ruckers Candies, including hard candies, caramels and taffy. They're all individually Wrapped, Kosher Kof-K, Gluten Free, Trans Fat Free & Splenda Sweetened. 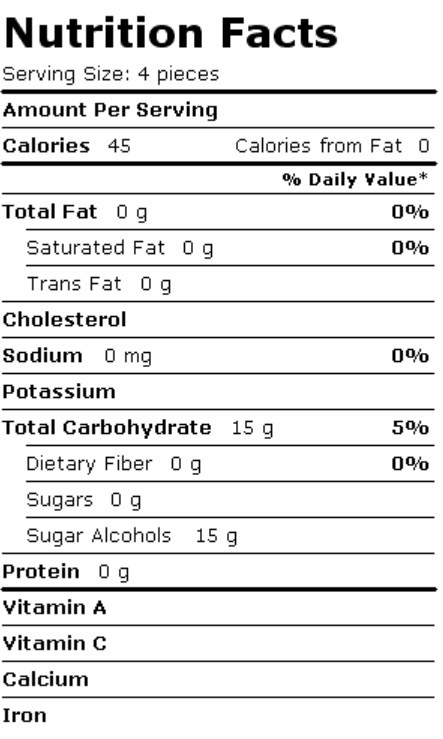 I ordered the mixture of diabetic candies and am very very happy with them. All the kinds are tasty and four candies per serving I have found plenty. They take a while to consume and even though I have a terrible sweet tooth, i'm satisfied after eating them. I'll certainly order again.